Huge! Hope has been a huge gift to me. My daughter has been giving me hope her whole life. Friends, books, workshops, speakers, churches, art classes-projects-processes, NATURE, scenery, Drives (guilty pleasure – one of many). Many things have given me hope over the years. Now my son-in-law and granddaughter, the cohousing community in BC I get to spend time at, my little studio in Sandpoint, my cats, my LIFE give me great hope. Hope is the gift I’d like to give to you today! One thing I know for sure – thanks Oprah – is that LIFE IS GETTING BETTER EVERY DAY! 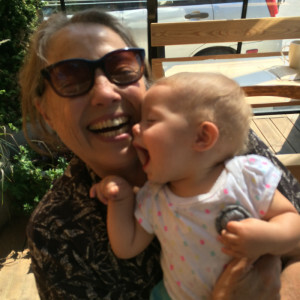 Despite the media – which I stay as far away from as possible – avoiding even Yahoo on the way into some of my emails – My Life and the Life of most of the people I know is getting better every day. In measurable ways! More connection to other people, more willingness to step out a bit and meet folks, more bravery to have a little fun. Many years ago I read a book by Willis Harman “Global Mind Change.” First published in 1988, it was the first time I ever read that a change of consciousness had the potential, in fact it was the only potential that could really change the world. It was the first book that articulated for me the limit that science has to solving all the problems – especially those caused (aren’t they all) by human emotions. Just being human. 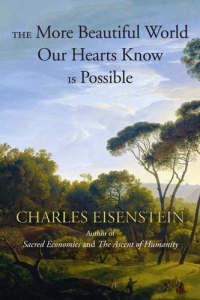 Twenty seven years later and OMG Willis would be So Thrilled with “The More Beautiful World Our Hearts Know is Possible” by Charles Eisenstein. He takes the expansion of human consciousness and heart and weaves them with great kindness into a story that we can believe in. The story has many paradoxes, isn’t painted out in detail, has lots of potential for co-creation. The disasters, grief and challenges of planet Earth and her peoples are not ignored. In fact they are everywhere. But the how and what to do and how to be to make it all better; to know it is already all better, are in the book also. TRUST that there is a loving universe behind the holographic chaos (my words not his) and have great HOPE that every day in every way – it is all Beautiful. Really? a post the same name as my posts page, a Posts Page that isn't Blog? I'm almost 65, I don't know WTF anymore. In my generation we looked for a book, took a class, found an expert - somebody Anybody out there that could tell us How To Do It so that we did it Right. So more than anything this is an experiment. I've been wanting to write forever. Probably since I had my first poem published in the local newspaper at 8. (Of course I have a copy of the paper somewhere). And I have poetry and websites (see links above). I long to put it together. I long to have it make a difference. But more than anything it is so much FUN! (And gives me the opportunity to procrastinate freezing the peaches). Today is the first of September 2015. Such a good day to begin anew. Wayne Dyer passed away within the last couple of days and I found out today. Somehow that is significant of the times. I dug and found Heather Blakey, A writer, teacher, techie who has been my heroine for years. Her Descansos on Soul Food Cafe is a writing prompt having to do with the liminal moments in our life, the deaths and ways not taken. That is curious and interesting because I'm planning on taking Liminal Life Writing with Rayya Liebich at the end of October. It feels like I'm pulling the threads together. I'm back on my Food Protocol Cleanse and at the weight I was when I paused on July 29 (after bad flu). Isn't that cool? This is significant for me because it is a completely new approach to losing weight, eating, life. And It's working! More on this soon but I will say that I'm taking herbal drops that make it very easy. I've lost 26 lbs so far and my goal is to lose that much more this round. Wonderful thing (besides not being hungry or depleted) is that in between rounds I'm learning what my body actually likes to eat and what makes it bloat up like a water balloon (alcohol). I'm reading a book called "The More Beautiful World Our Hearts Know is Possible" See this is why I have to do this online, in WP. My life - like everyone else's is So post post modern. Interconnected - woven - RICH - crazy - busy - going down the stream FAST. Let's Celebrate! What if we could Trust? That it is all OK. That there is a Kind, Loving Universe out there. That I can write, that I have something to say that will pour out of me if I just find the right venue. So I've decided that this multi-media platform that allows me to link to my Pinterest, and favorites is the way to go! Can add my favorites! And report that at the end of day "Everyone is doing the Best they can!" as Christie Marie Sheldon says.